New brand: Petra Reijrink hand-crafted jewellery! 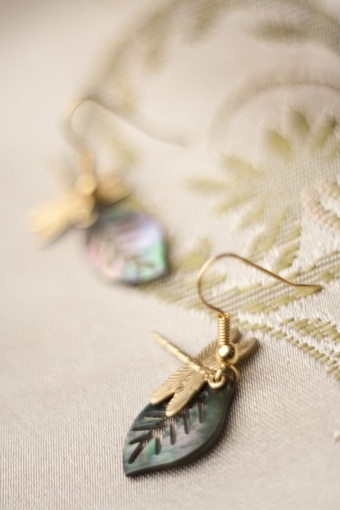 Handmade Dragonfly Mother of Pearl Leaf earrings gold. 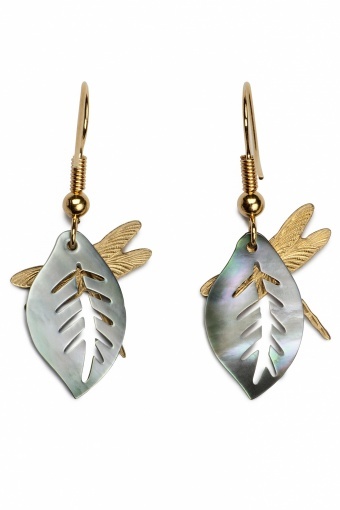 Lovely delicate small earrings with a cute leaf from mother of pearl and a little gold-plated dragonfly. Made of gold-plated metal alloy (nickelfree). Timeless beauties!